This article below from last year shows Los Angeles as low as number 10 as a hotspot for tech start-ups. This contrasts with the dot com boom where Los Angeles was a solid four. A lot depends on how one slices and dices data. When you look at Los Angeles Orange County as a region, it ranks number 3 to 5 in venture funding ( depending on the quarter) according to Money Tree Price Waterhouse. However, the rank falls percipitiously when you look at just software venture funding as this area is driving the urban tech boom. A recent article by Richard Florida put Los Angeles. An article by Richard Florida, published in the Atlantic Cities (June 13, 2013), America’s Leading Metros for Venture Capital, shows the Los Angeles Metropolitan Area as number 5. 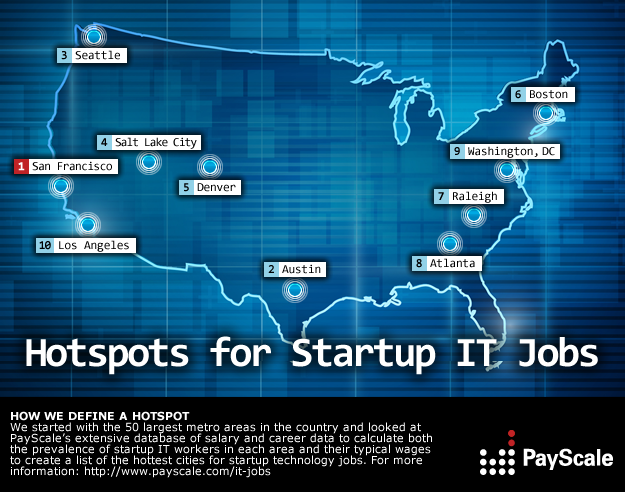 Map: The hottest spots in the U.S. for start-up tech jobs – GeekWire. Advertising drives a lot of creative office demand. From the production of commercials to digital firms like Adly.com- Westside has many firms related to the advertising agency. The Westside creative office directly benefits when this industry grows. The articles discusses the growth of LA rise as an advertising industry hub. The Los Angeles growth arises from its proximity to multiple marketing platform including television, movies, gaming, as well as the convergence of entertainment and technology thru new distribution channels like You Tube, Hulu, and Netflix. Conference in L.A. reflects city’s rise as ad industry hub – latimes.com. In urban L.A., developers are building trendy homes on tiny lots – latimes.com. 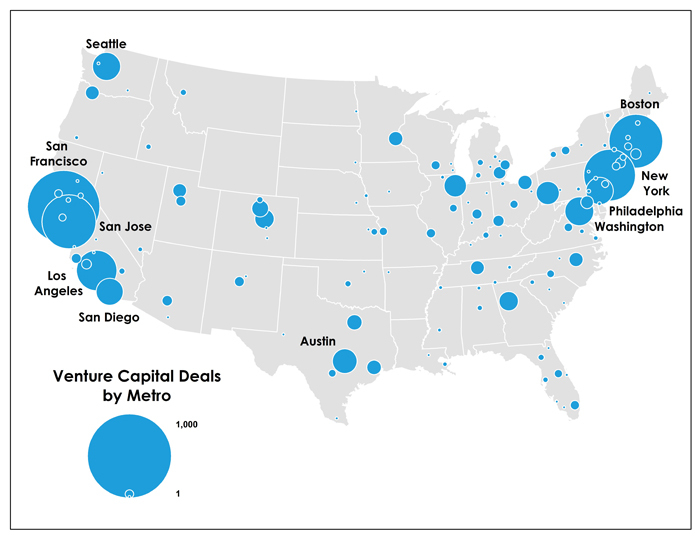 America’s Leading Metros for Venture Capital – Richard Florida – The Atlantic Cities.